As does everything Palin, Governor Palin’s upcoming Alaska documentary series has come under attack by the left, in the guise of protection of wildlife. Radical environmental groups, such as Defenders of Wildlife and CREDO, have led the charge. Backed by considerable funding, they have collected over 500,000 signatures through petitions sponsored by Defenders, CREDO, Care2, and Change.com. A summary of their efforts to date against Governor Palin’s show can be found here. To top it all off, CREDO plans to present their petition with signatures to Discovery Communications at their annual shareholders meeting in Washington, D. C. on Wednesday, May 5. Radical environmentalist efforts against Governor Palin are not new. We are all familiar with Ashley Judd’s propaganda against then Governor Palin’s predator control program. (See here also.) As U. S. Sportsmen’s Alliance (USSA) pointed out then, predator control is essential to ensure that there is enough caribou for Alaskans to hunt for food. Predator control was conducted responsibly and scientifically by Governor Palin’s administration. Environmental extremists have also attacked Governor Palin over her call to “Drill Here, Drill Now!” As Governor Palin has explained on numerous occasions, energy independence is essential for national security and prosperity. In Alaska, the gas and oil industry provides a significant portion of its citizens’ income. Again, her administration responsibly monitored the oil and gas industry so that there was minimal impact on the environment. As the fiasco in the San Joaquin valley has taught us, we have to balance the needs of human beings with our need to protect the environment. Due to the uproar of eco-terrorists over a three-inch minnow that wasn’t even indigenous to the region, that fertile valley, the bread basket of the nation and even the world, was turned into a dust bowl. Thousands lost their jobs and their livelihood before the federal government was forced to respond to citizens’ demands to turn the water that supplied the farms in the valley back on. I’ve said all that to say this. Upon becoming aware of the eco-terrorists’ latest attack on Governor Palin, a group of Sarah Palin supporters decided to do something about it. The authors of Sarah Palin Web Brigade and the Sarah Palin Information Blog spearheaded a petition drive in a counter-attack. 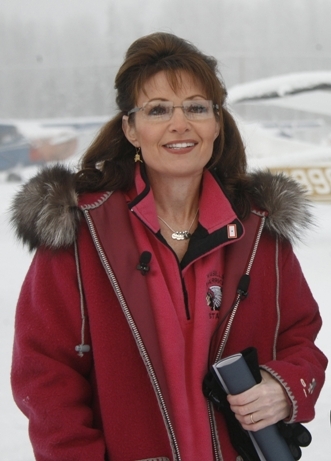 Other Sarah Palin support sites joined the effort, and our numbers have doubled already. We have set up a petition in the form of a letter to Discovery Communications President and CEO David Zaslav in which we support Governor Palin’s and Discovery’s Alaska documentary series and at the same time present the facts about her responsible stewardship of Alaska’s wildlife. All supporters of Sarah Palin are asked to sign this petition as a show of support for Governor Pallin. Strength is shown in numbers, and we want the world to know that Governor Palin’s support far exceeds that of the opposition. If you bought her book or stood in line to get her autograph or traveled the distance to hear her speak, please take time to go here and sign this token of support for her. You’ll be glad you did!